We are going to show you our next article about East West Medical College information. 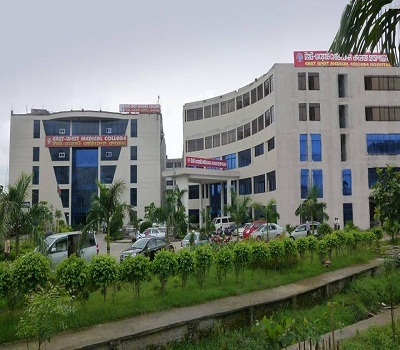 This private medical college is one of the best eminence academic institute in Bangladesh. It’s situated in Khairtak, Turag, Dhaka, near the bank of Turag River. East West medical Collage provides excellent broad based education with a focus on student’s skill development. The people’s republic of Bangladesh approved this medical Collage and also it affiliated with Dhaka University. Bangladesh Medical and Dental Council (BM&DC) and World Health Organization (WHO) recognize this collage. Also, it is recognized by many international organizations like FAIMER and IMED. Here is more about East West Medical College information with East West Medical College admission process. We have gathered all the details about East West Medical Collage information and East West Medical College admission process. Let’s know further more about this. In addition of East West Medical College information, the institute has built their college and hospital on their land. There are a number of modern classrooms practical classrooms, lecture galleries, department museums, library, reading rooms, teacher’s room and so on in the college campus. The college also accommodates a separate common room for male a female students with indoor and outdoor games, a mosque, a cafeteria. This college also provides 2 separate hostels for boys and girls containing 880 seats. All the departments list of East West Medical College is given below. This privet medical college offers 5 years MBBS course and 1-year of internship at the hospital. East West University has maintained all the criteria set by the approving and affiliating authority regarding and the great quality of teaching. All the interested candidates should have the certificate of SSC/O level o equivalent examination and HSC/A level or equivalent examination with Biology, chemistry and Physics. International students also can apply for East West Medical College admission with their A and O level certificate verified and approved by the director of Medical Education, Mohakhali, Dhaka. To no more about East West Medical College admission, and East West Medical College information, please go to these addresses. This institute has 650 bedded modern hospital, indoor, outdoor and emergency services for all. Also, the hospital offers poor patients discounts for the bed or treatments. With the quality teaching, this institute also provides quality treatment, though. So, here is all about East West Medical Collage information and East West Medical Collage admission process. This entry was posted in Medical College, Private Medical College and tagged East West medica apply by admin. Bookmark the permalink.